Mooresville, NC has fully recognized the importance of access to high-speed broadband to allow connectivity for all students. “As a result, Mooresville schools have seen improved academic performance, student engagement and graduation rates—all while decreasing funds needed per pupil.” Mooresville is not done. Not only is connectivity a necessity but the capacity must be adequate for to students to have access to high speed streaming and innovative teaching tools. These are essential for digital age learning and preparing students to compete in our global economy, presently and definitely in the future. In Mooresville, North Carolina, school may be out for summer, but the halls are not quiet. President Obama’s visit to Mooresville last month highlighted Mooresville Graded School District’s innovative digital learning program. With high-speed broadband capacity, Mooresville schools have dived head first into digital age learning. As a result, Mooresville schools have seen improved academic performance, student engagement and graduation rates—all while decreasing funds needed per pupil. It’s no wonder that so many educators and education leaders want to know how they can bring the same success to their own communities. So we have come together, as the superintendent of Mooresville Graded School District and a member of the Federal Communications Commission, because we believe that what has been done in Mooresville can be done anywhere. It starts with the Federal Communications Commission’s little-known E-Rate program. 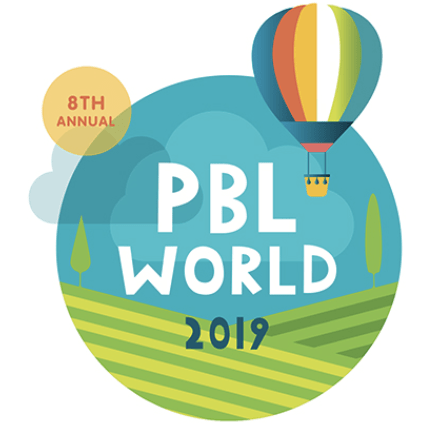 Since 1998, this program supports broadband connectivity to schools and libraries nationwide. So far it boasts the success of connecting 95 percent of classrooms to the Internet. But while this has been a great start, the job is not done. We are fast moving from a world where what matters is connectivity to a world where what matters is capacity. So last week, the Federal Communications Commission began the process of rebooting E-Rate for the 21st Century, call it E-Rate 2.0. The Commission’s action last week recognizes what Mooresville has already figured out: access to broadband in school isn’t just a nice amenity, it’s a necessity for our students to be able to compete in the global economy. In our hyperconnected world, knowledge, jobs, and capital migrate to places where workers have digital age skills. But our schools can’t prepare our kids to compete for today’s jobs—much less the jobs of tomorrow—if we expect digital age learning to take place at near dial-up speeds. Unfortunately, a recent Harris survey found that roughly half of E-Rate schools access the Internet at speeds of 3 Megabits or less. That is too slow for streaming high-definition video and not fast enough for the most innovative teaching tools. This means our school administrators are facing tough choices about limited bandwidth in the classroom. How to divvy it up, what grades and classrooms get it, and what programs they can run on it. Contrast this with efforts underway in some of our world neighbors. They are pouring resources into connecting schools. Consider that in South Korea, 100 percent of schools are connected to broadband. With so much capacity, an effort is underway to transition all students from traditional textbooks to digital readers. In Uruguay, through a national program, nearly all primary and secondary schools have been connected and every primary school student has access to a free laptop. Uruguay also has revamped its secondary school science and math curricula adding robotics and national math competitions. We recognize that these two countries are smaller than the United States. They have different cultures. They have different education systems. But we can still take from these examples that improving broadband capacity to schools for digital age learning must be a national priority if we want to give our kids a chance to compete. So we have a choice. We can wait and see where the status quo takes us and let other nations lead the way. Or we can choose a future where all American students have the opportunity to gain the skills they need, no matter who they are, where they live, or where they go to school. We believe it is time to compete. To do this, we need to work together with the Federal Communications Commission on E-Rate 2.0 and rally around clear broadband capacity goals for every school. Here’s what we propose: By the 2015 school year, every school should have access to 100 Megabits and by the end of the decade, 1 Gigabit. If it can be done in Mooresville, we can do it in every school district in every state. We are rolling up our sleeves and getting to work to meet President Obama’s challenge to make E-Rate 2.0 available in every classroom across the country. This is big. It’s big for education, it’s big for infrastructure, and it’s essential for the next generation of students to be able to compete.